We need to leave a trail of breadcrumbs…ahead of time. It doesn’t seem to make much sense. After all, how can we leave breadcrumbs where we haven’t yet been? Isn’t the trail of breadcrumbs supposed to be for our return trip? But how often do we come back to the exact same spot, using the exact same path? On the other hand, how often do we circle, meander, intersect, repeat, backtrack, and so on? We rarely experience something just once. We might claim something is “once-in-a-lifetime” and, honestly, we can’t ever completely duplicate the experience, because we can’t repeat the same time and moment. Yet there are themes. We relearn similar lessons. Our lives are filled with patterns, many of which we might not even notice. What we do in one experience impacts future experiences. 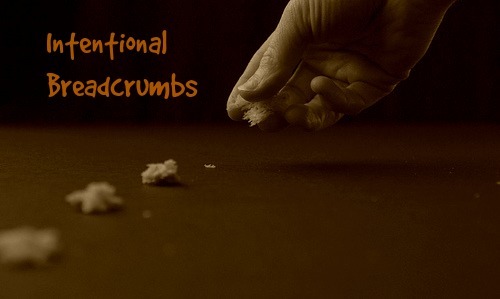 When we’re intentional, we lay breadcrumbs for the future. When I read something in Scripture at different points of my life, even different times in a day, I absorb it differently. It challenges me in a variety of ways. What I skim over in one reading, leaps off the page in another. The same words can encourage, convict, challenge, equip, excite, or confuse me. The best I can do is process them the best I can in that moment, plant the seed, and trust God to do the growing. 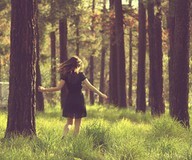 I don’t rediscover every breadcrumb I drop along the path. Sometimes, I’m just too preoccupied to notice the patterns. Other times, I find great joy in rediscovering something familiar. I don’t want to miss out. I want to learn and relearn, discover and rediscover. But I can only do that with intention and attention…and a good supply of breadcrumbs. 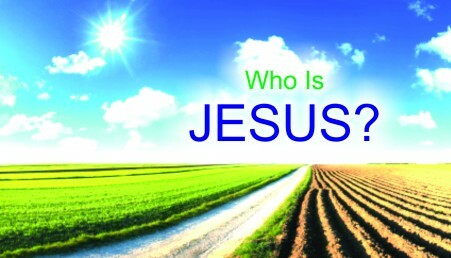 Jesus is given many names throughout Scripture, and each gives us a glimpse into the deity and character of who Jesus is. Each name invites us to discover Jesus one piece of understanding at a time. The name Immanuel is of paramount importance. It connects many other pieces together, because Immanuel means, “God with us.” Immanuel captures the essence of the deity of God becoming a person who walked alongside men on earth. Jesus’s birth brought a physical closeness to us and God. God could no longer be seen as a God who was “somewhere out there,” ready to bless and guide us from a distance. Jesus brought with him the availability of a personal relationship. God’s help, protection, provision and guidance became touchable. Those who stood in the presence of Jesus stood in the presence of God. Those who have a personal relationship with Jesus have a personal relationship with God. There is no far-off, long-distance relationship with an unseen, unfamiliar, unrevealed God. Jesus came to earth as the incarnate God, and he provides a way to authentic, significant, purposeful, eternal faith. Why do we need Immanuel, “God with Us”? Because our sin—yes, that three-letter word that we don’t want to acknowledge we have in our lives—has separated us from God. Without Immanuel, we’re incomplete at best. No matter what we imagine in our arrogance, we are creatures. We did not imagine or will ourselves into existence. We can come up with all kinds of flattering explanations as to how and why we’re here, but we often do so without evidence of truth. We are beautiful, complicated, and intricate creations fashioned in the image of God, and we are created for the purpose of knowing and loving him. He are intended to have the most intimate relationship imaginable with him, depending on him for all things, daily walking in his light, love, joy, and power. With man’s rebellion, or sin, we set aside our intimate relationship with God. We need God, because it is at the core of our nature to know him, and without him, we are incomplete, empty, unfulfilled, restless, because we are living life contrary to the purpose for which we are made. We need “God with us” because without him we are incomplete. Only Jesus can undo what we have done. Only the one who created us in the first place can restore us again. Only he can give our lives the meaning and completeness we are supposed to have. In this one name—Immanuel—everything we need, the entire plan of God’s salvation is fulfilled. We are blessed that Jesus is Immanuel. We live in an on-demand society. We have a lot of options, so we can typically have what we want when we want it. I wonder how on-demand impacts our discovery. I have favorites at various coffee shops. I usually choose hot chocolate or iced tea since I’m not a coffee drinker. I know what I like at my most frequented shops, Starbucks and Panera. While I was traveling recently, Coffee Bean was more convenient. I like Coffee Bean, but there are none around where I live. I decided to take advantage of the opportunity and try something I couldn’t get at one of my favorite places. I told the server I wanted some sort of iced tea and a muffin and asked what she recommended. I didn’t demand; I discovered. And I liked it! I went again the next day and got a different muffin and a different iced tea. A group of people celebrated together later that night, and I tried yet another flavor of iced tea – and discovered Coffee Bean has frozen yogurt. Of the available flavors, I ordered the one different from my default setting. How can I find out what I like if I don’t try new things? It’s just as important to discover what we don’t like as it is to discover what we do. In fact, it’s often not about our likes and dislikes at all. That’s the end result, but the process is often equally, if not more, important. Discovery is the process. We can’t demand discovery. We can only seek it. Consider the “usuals” in your life. Walk through your routine. What is your typical drink order? When and why did your current “on demand” begin? Where do you take your car to be serviced? When and why did your current “on demand” begin? Where do you shop for groceries? When and why did your current “on demand” begin? Where do you attend worship services? When and why did your current “on demand” begin? Where do you meet with friends? When and why did your current “on demand” begin? At some point, you had to discover something new. Perhaps you accepted advice or began a routine by default. Making no decision is still making a decision. What you demand tomorrow is today’s discovery. Be intentional. Pay attention to the “whys” of your “whats.” God created you with purpose. He created you to think and interact with the world around you. Put the two together and intentionally discover his purpose, one adventure at a time. Do you want to experience what living a life of adventure is all about? Sign up to receive a FREE Event Guide: Living a Life of Adventure!